The more protesters, the greater the impact. Sign up here or by writing mwisniewski@ppsri.org; and spread the word to save our city’s history! 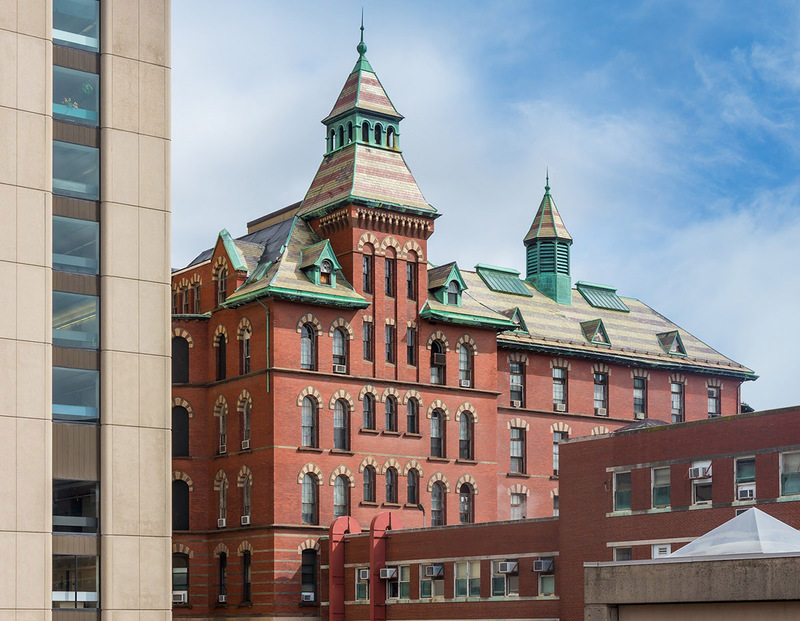 Constructed in 1900, the red-bricked, polychrome, slate-roofed Southwest Pavilion was constructed both to serve women and children and to house the Rhode Island Hospital’s first pathological laboratory. Its significance is both historical and architectural. It represents the institution’s early steps toward the specialization and physical separation of programmatic activities that characterize modern medical campuses, and is a physical representation of an important phase in the hospital’s historical development. At the December 2015 City Plan Commission meeting, Rhode Island Hospital’s application to amend their Institutional Master Plan to include the demolition of the Pavilion was denied. RIH has appealed, and the appeal will be heard by the Zoning Board of Review this Tuesday. Please join PPS there for a silent protest. Wow. Clearly they’re demolishing it for understandable reasons. There’d be no vacant land nearby for them to redevelop. . .